Picture Size Up to 140"
Picture Size Up to 100"
Picture Size Up to 300"
Picture Size Up to 40"
Data current as of 12/05/2018. Features and pricing subject to change. What should you consider when choosing a projector? We’ve got your answers. Jump to our section on how to choose a projector. This powerful projector offers 4K Ultra HD picture on a screen up to 140″, making it perfect for big, immersive movies. If you want an immersive home theater experience, it doesn’t get much better than this. The picture isn’t just sharp, either. With a contrast ratio of 1,000,000:1, and a brightness of up to 3,000 lumens, the picture will be crisp, lifelike, and full of depth. The biggest downside of this projector is the price tag—at nearly $2,000, it’s definitely not for everyone. That said, you won’t find TVs at nearly this size, and even if you could, you’d have to spend quite a bit more to get one with comparable picture quality. This one features low input lag specifically designed for gamers so that your inputs immediately translate to the screen. The 1080p projection and 100″ size make it a perfect tool for immersing yourself in your favorite games, and its short throw ratio (meaning you can place the projector close to the screen and still get a full-sized picture) and built-in speakers make it perfect for taking to a gaming buddy’s house. Need some games to play on your new projector? Check out Amazon’s Best Sellers. This powerful projector delivers a stunning, clear picture. It combines high resolution, a huge 1,000,000:1 contrast ratio, and great brightness to provide a picture that’s perfect for fast-action sports. The huge 300″ projection size and 3D capability make for an immersive viewing experience as well. The downside is the price—this is by far the most expensive projector on our list, although it equals out to approximately what a single person would pay in food, gas, and season tickets otherwise. At least with a projector, you and the family can watch the game in detail. This projector features a built-in battery, wireless connectivity, and LED lighting to maximize battery life. It’s designed to be packed up and taken around town, making it perfect for business people on the go. The battery power also makes it a great choice for camping, tailgating, or other outdoor activities where plugging in wouldn’t be convenient. The tradeoffs for that portability come in the forms of smaller picture size and lower brightness, so this is not meant for general use. But if you need something to take on the go, we highly recommend the PH550. This projector provides an outstanding picture for the price. It’s unique because of the huge potential screen size—up to 300″ at 1080p—and its ability to project 3D content. With both of those features, you get a powerful viewing experience for a home theater setup. Considering that it’s priced just under $600 new, it’s easy to see why this is our budget pick. What are the advantages of getting a projector over a TV? The biggest advantage is size. Projector screen sizes can reach up to 300 inches. This allows for a much more immersive viewing experience, especially for sports and movies. As such, projectors are often the go-to choice for serious home theaters. There are a lot of factors that go into making a good projector. We’ll break down the different specs and features you’ll come across and offer our opinion on which ones are really worth your consideration. There are two common projector types: DLP and LCD. DLP: DLP stands for digital light processing. These projectors work by combining a DLP chip made up of tiny mirrors with a spinning color wheel that applies color to the images from the chip. The image produced is then fed through a lens and onto the screen. DLP projectors require less maintenance than other projector types because the DLP chips are sealed against dust and debris that can ruin the image. However, they can be prone to giving off a rainbow effect, where bright flashes of color appear across the screen under certain circumstances. LCD: LCD, or liquid crystal display, projectors use tiny LCD screens similar to what you would find on other electronic devices to produce images. These images are then fed through a lens and projected onto the screen. LCD projectors may require a bit more maintenance than DLP, since the screens can burn out. However, they tend to be less expensive, which is an advantage in itself for many people. Lamps: These are just basic light bulbs. They are reasonably bright and tend to be inexpensive. The biggest issue with standard lamps is the relatively short lifespan. Although they tend to be rated for thousands of hours of use, LEDs and lasers just last longer. LEDs: LED projectors are either DLP or LCD projectors that use LEDs instead of standard incandescent lamps as the light source. LEDs last much longer and require less maintenance than standard projector lamps. LEDs are common in portable projectors. Lasers: Lasers are a newer type of light source in projectors that can produce a very bright, high-contrast image. Lasers have the advantage of never burning out and being very energy-efficient. The disadvantage of laser projectors is that they tend to be extremely expensive (we’re talking an easy five figures). For most people, it’s overkill, but if you really want the best of the best and have the cash to burn, we recommend the Sony VPLVW885ES. This projector produces an absolutely stunning picture, but with a price tag nearly $25,000, it’ll be outside of most people’s budgets. Projector brightness is measured in lumens, and there are actually two different brightness stats to pay attention to: white brightness and color brightness. When shopping, compare the two numbers—if the color brightness is too low compared to the white, the picture can appear washed-out and lifeless. Also, brighter is not necessarily better when it comes to projectors. The room’s ambient light plays a huge role in the relative brightness of the projection, just like it would with a TV screen. In a dark room, like a home theater, too much brightness can be harsh and hard to look at. It can also wash out the shadows and fine details of scenes. Contrast ratio is the difference between the brightest and darkest parts of a picture. All other things being equal, a higher contrast ratio is always better—it makes the image look more vibrant and dynamic. As with brightness settings, the room’s ambient lighting has an impact on how much you’ll notice contrast ratio. In general, the darker the room will be, the more contrast ratio matters. There are three general categories of projectors: home entertainment, business, and pico. 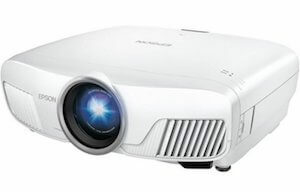 Home entertainment projectors tend to be dimmer, with higher contrast ratios and resolution, while business projectors are usually brighter and more portable to account for the variety of environments they might be used in. Pico projectors are basically pocket-sized projectors. These are great for off-site meetings, traveling, and even camping. Another important thing to consider when choosing your projector is how you plan to connect it to your other gear. Options range from standard VGA and HDMI connections to more advanced ports like component video and even Wi-Fi. Much like on a TV, HDMI is generally the way to go. 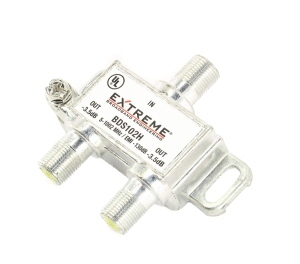 It delivers a digital signal, so it’s going to eliminate a lot of issues with things like synchronization that can plague analog connections. And it’s standard on almost all AV equipment these days, so you’ll have a lot of options for sources. Apple TV, Chromecast, Amazon Fire TV, most modern gaming consoles, Blu-ray players, and most set-top boxes all use HDMI to connect to TVs and projectors. Many projectors include built-in speakers. These are ok in a pinch, but if you want sound quality to match your picture quality, you’ll almost certainly want to pick up a soundbar or speaker system for home theater use. 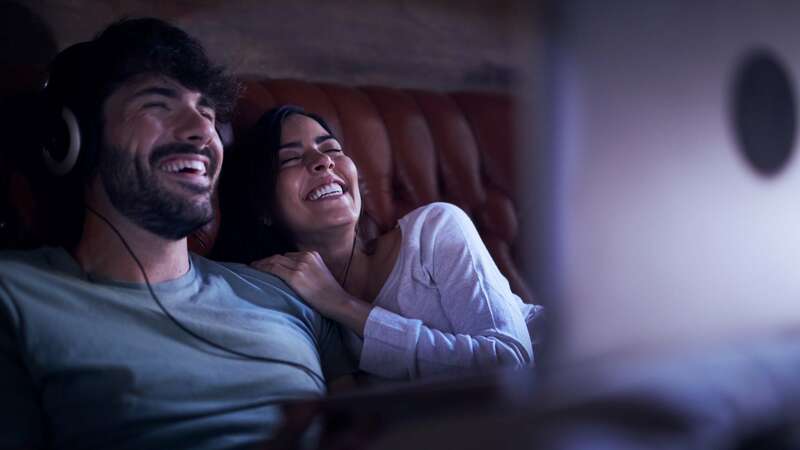 To get an idea of the kinds of speakers that make for a great home theater experience, check out our guide on home theater sound systems. Resolution on projectors works much the same as resolution on any other display: the higher the better. And yes, there are 4K projectors. Whether you actually need a 4K projector or not depends on the size of the screen you want to project on and how far away you’ll be sitting, but more resolution never hurt anyone, so we’d go for at least 1080p for a home theater projector. For business purposes, resolution matters less, so 4K might be overkill in the boardroom. 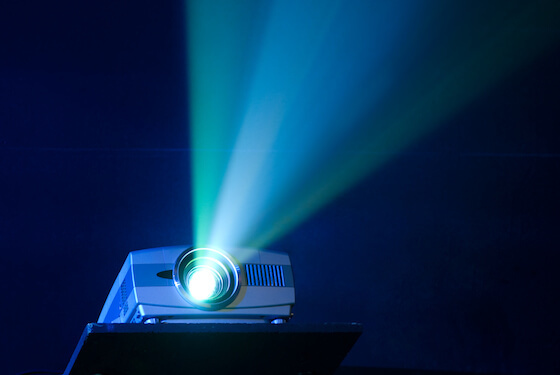 Projectors do require some maintenance to keep them functioning properly. Dust can creep into the internals and, depending on the type of projector, can cause issues with the image. Lamps can burn out over time, with standard bulbs lasting 3,000–5,000 hours. LEDs can last up to 20,000 hours, and lasers never burn out. Other maintenance includes cleaning air vents, filters, lenses, and mirrors so they stay shiny. It’s nothing too major, but it does tend to be more than a TV would require, so keep that in mind. Whichever projector you end up choosing, we’re sure you’ll love the immersive experience of watching sports and movies on a huge, 100″ screen. Once you go big, it’s hard to go back. 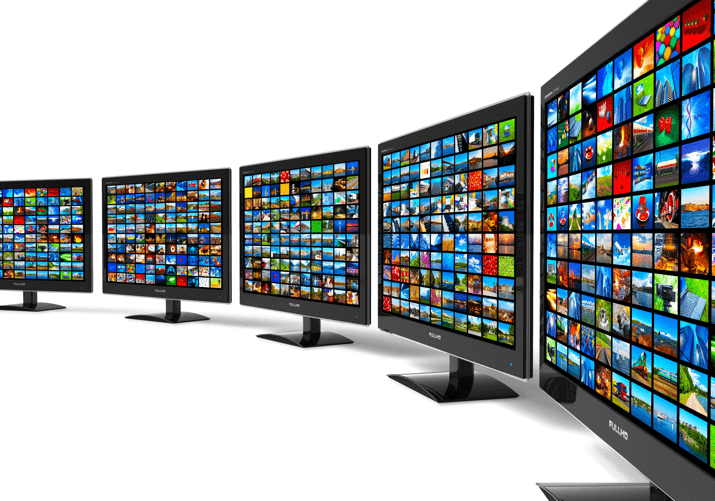 Of course, you’ll also want a great TV service to enjoy with your projector. Enter your zip code to see what’s available near you.